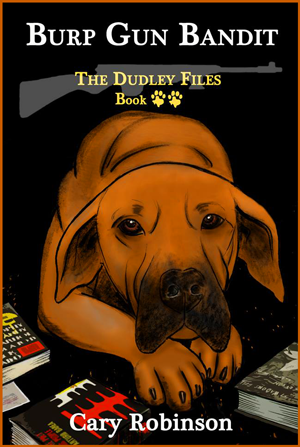 The long awaited and triumphant return of Dudley, the golden-colored hound dog from a Houston animal shelter, and his life partner, Careless, (not that there’s anything wrong with that) is here in book two of The Dudley Files: BURP GUN BANDIT. They are joined again by E.D., their beautiful blonde sassy upstairs neighbor, Sarge, their stammering neighbor stuck in the 1960s, and Birk, their redneck friend with road rage who drives a Cowboy Cadillac. Dudley, Careless, and their rather eclectic group of neighbors and friends solve the mysterious disappearance of a miniature pet donkey named Eddie in the Texas Hill Country, and a diabolical mystery surrounding an antique World War II rifle that some may say takes on a supernatural flair. All the while Careless continues to get slobbered on by day and spooned every night by his friend Dudley, while Dudley continues his peculiar and hilarious behavior. 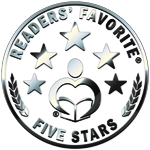 See what our readers say!